This section is all about what to do, those key actions, behaviours and attitudes which can make all the difference between a successful job interview and a rejection. Many candidates believe that the interview just involves talking through their CV and answering questions about their experience. Sometimes this is indeed involved however the successful candidate is the one who has used powerful interview techniques to sell themselves, to answer the questions most effectively and to present themselves in the very best light. If being recruited through an agency get them to earn their fee by finding out as much detail as possible about the job interview. What format is it going to take, where is it being held, at an assessment centre or in the recruiters office, will a psychometric test be involved, how long will it take, all day or just an hour. This is a great job interview tip. You may know somebody who works for or has worked for the company and who may know your prospective boss. they can tell you a lot about the culture of the organisation and the skills they value. Anticipating the questions you might be asked and practicing the answers until you can deliver them smoothly and naturally is a useful interview tip and key to performing well in an interview. Another great job interview tip is to conduct a mock interview beforehand with a colleague or partner acting as the interviewer. This will go a long way towards helping you feel relaxed, confident and in control during the actual interview. It is often recommended that you go along to interviews for jobs you are not interested in just to get practice. Be wary, chances are the interviewer will pick up on this, you will not get the job and this rejection could impact on your confidence levels. Don’t take notes during the interview. It will only give the impression that you are not listening or cannot retain information. Never feel that you are begging for a job or that the employer has all the power. Interviewing is always a two way process and you are offering something which the interviewer desperately wants. A useful tip if you are being interviewed over the telephone is to smile. While the caller cannot see you they will detect this in the quality of your voice. In addition you will feel better and more positive and this will also come across. Remember your interviewer’s name and use it during the interview. Once the job interview is over remember to use proper follow up procedures to keep you at the forefront of the interviewers mind when they are making a decision. As an experienced interviewer I am always surprised by how poorly some candidates perform in the interview. Even some of the most powerful and senior candidates have made simple yet drastic mistakes that have ultimately cost them the job offer. It is such an obvious mistake and yet in my experience about 15% of applicants arrive late for their interview. This could be due to any number of factors however in my book, there is really no excuse. If you are unsure of how long the journey will take either leave with at least 30 minutes extra time to do a trial journey a few days before the interview. An interview is not a casual event no matter what the dress code of the recruiting organisation. Make an effort to dress up; it will show that you care that you are interested and that you can present a professional image. An invitation to attend for a job interview should encourage you in that you are already half way to your goal, but nonetheless the prospect of the interview can be somewhat daunting. Your best chance of success comes through proper preparation. By knowing what to expect and being prepared, you will increase your confidence and your likelihood of a good interview performance. What does it involve, and do you have the skills and qualifications required? You will already have satisfied the basic qualifications and skills requirement in your CV and letter of application, but you need to be able to go further than this at the interview. You should research the company as far as possible, with regard to their philosophy, how they operate, and what they are trying to achieve as this will help you to sell yourself more effectively. You should have some idea as to how the specific niche you’re applying to enter, fits into the whole and how you see yourself being part of this. You need to convince the employer that you have the skills and abilities to do the job well. If you have any special skills that might be relevant, or experience, then bring it to the interviewer’s attention. An ideal candidate, in the eyes of an employer, is not just an average Joe, but someone who is fully qualified, confident, and enthusiastic. It is important that no matter who you encounter when you arrive at the interview, you approach them in a positive and friendly manner, this includes when you are walking through the car park to the main reception. I say this because you never know who can see you and who is observing your behaviour so you need to make a good impression on everyone you meet. So when you approach the reception desk ensure that you clearly state what your reason is for being there and be as polite and talkative to the receptionist as you can be. Remember you never know who in the building is close to the person who is interviewing you so make a good impression on as many people as you can, this way after your interview you will be remembered as a candidate who was nothing but polite and friendly. Make sure that you arrive around ten minutes early for your job interview. There are a number of reasons as to why this is best. Arriving ten minutes early allows you to relax and clear your head prior to meeting your potential employer. It also means if there are any forms that you need to fill in you can do them while you are waiting so you aren’t cutting into any of the time spent actually in the interview process. 18. Are You Making A Good Impression? There are also a number of tasks you need to ensure that you carry out before you go into your interview such as turning off your mobile phone and ensuring any iPods or MP3 players are put away. Sitting listening to music while you are waiting to go into your interview doesn’t give off a great impression; in fact to any potential employer this simply demonstrates that you have a severe lack of interest. Your first impression on your potential employer is vital to your chance at securing the job you have applied for, which is why it is so important that you take every step to ensure your first impression is a good one. This is one of the best winning interview techniques you can learn when it comes to a job interview; another is how you conduct yourself during the interview. What you say to your potential employer is just one aspect that is kept in mind when you are being considered for a job; another aspect is your body language. You will be measured on your verbal communication skills however remember that any non-verbal clues you give will be taken into consideration. Your body language says a lot about your attitude and ability; how you sit in a chair, how you maintain eye contact, how you move can all communicate different aspects of your personality. Be aware of the messages you are sending with your body language. 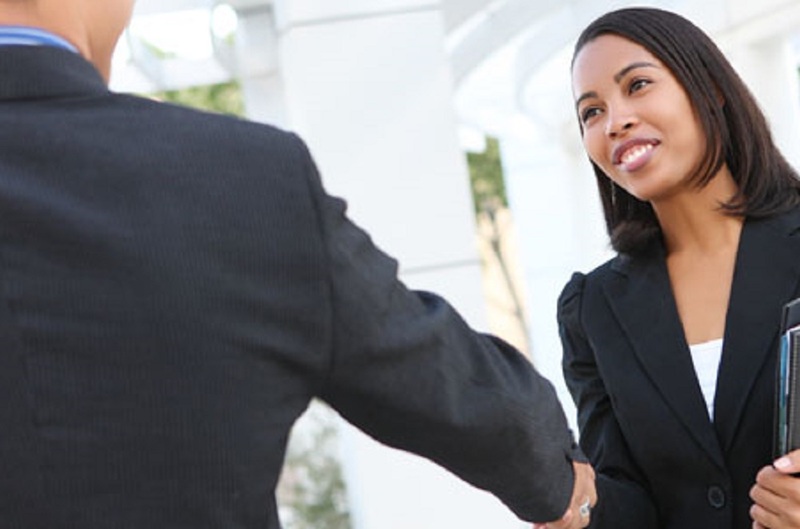 A great interview technique is to enter the room confidently, approach your interviewer with a smile and a handshake. Sit up straight and lean forward slightly which is another excellent technique as this demonstrates that you are committed and interested in what is being asked of you and spoken to you. Rest your hands loosely on the desk or in your lap and avoid fidgeting with your clothing or hair. This can be distracting and will display your nervousness. One other winning technique you should apply to your job interview as a means of ensuring the success of it is to ask questions. Make sure you have a list of questions prepared and use some of them when necessary. Not only is it not professional to have no questions when asked but it leaves your potential employer unimpressed, it demonstrates that you haven’t put much thought into the job, meaning you aren’t really that interested in it. You will be given an opportunity to ask questions and usually at the end of the interview. Ensure you have a list of questions prepared and use some of them when necessary. This will demonstrate your interest in the job and show you have considered yourself actually in the post. Avoid questions about salary or benefits as these can give the wrong message. There will be plenty of time to negotiate these once the offer is on the table. Little details such as those above make all the difference in a job interview; you could be the most qualified candidate for a particular job but if you don’t express and put these interview techniques into play you won’t get very far, regardless of how much experience you have. So the next interview you have make sure you keep these interview techniques in mind; they could be just the thing to secure you a particular job role. Browse a whole range of articles with tops tips from our interview experts. Give a powerful interview performance with our expert Interview Coaching service. Successful online interview skills system with Interview Questions and Answers. Job Interviews Are Changing – Are Your Skills Up To Speed?